ARLINGTON, VA; OCTOBER 19, 2016 – This November, PBS will air new documentary specials in honor and observance of Veterans Day. Through intimate interviews with retired and active duty military, survivors and family members, these documentaries highlight the lasting impact of warfare. On Tuesday, November 1, 2016, 9:00-11:00 p.m. ET, THE BATTLE OF CHOSIN on AMERICAN EXPERIENCE presents the harrowing story of the pivotal 1950 Korean War battle. Through eyewitness accounts of bloody combat and heroic survival, the program revisits the major Cold War conflict that caught American military leaders and thousands of Marines and Army soldiers off guard, outnumbered and at risk of annihilation in the mountains of North Korea. With remarkable archival footage and more than 20 veteran interviews, the two-hour program reveals how the two-week battle helped set the course of American foreign policy in the Cold War and beyond. USO – FOR THE TROOPS, premiering Monday, November 7, 2016, 9:00-10:00 p.m. ET, is an independent documentary that examines the ways the organization lifts the spirits of military personnel and connects them to their families, home and country. Told against the backdrop of a recent USO tour, the film charts the organization’s more than 75-year history with unprecedented access to background operations and interviews with current and former veterans, historians, leaders and celebrity participants, including Jon Stewart, Jay Leno, Ann-Margret, Raquel Welch, Connie Stevens, country singer Craig Morgan, NFL star Charles Tillman, and Miss America Betty Cantrell, among others. Produced by Partisan Pictures and directed by Peter Schnall, the program is made possible by the generous support of Johnson & Johnson. On Wednesday, November 9, 2016, 10:00-11:00 p.m. ET, MILITARY MEDICINE: BEYOND THE BATTLEFIELD follows military medical advances and technology from the battlefield to the return home. PBS viewers will hear first-hand stories from physicians, scientists, active duty military personnel, wounded warriors and their families, and witness how these medical advances are changing the lives of our servicemen and women. The program is produced by Public Media NJ and ABC News correspondent Bob Woodruff reports this one-hour special. Timed to the 75th anniversary of the infamous attack, PEARL HARBOR – USS OKLAHOMA – THE FINAL STORY premieres Wednesday, November 23, 2016, 8:00-9:00 p.m. ET. The film explores the USS Oklahoma, the only battleship to capsize during the attack, taking the lives of 429 men. The special reveals new details surrounding the cause of the ship’s fate and follows the story of those who escaped as well as those who were trapped aboard her. Survivors and families of those lost tell their emotional tales after 75 years. The program is produced by Lone Wolf Media and directed by Sharon Petzold. WCVE PBS in Richmond, Virginia, is the presenting public television station. 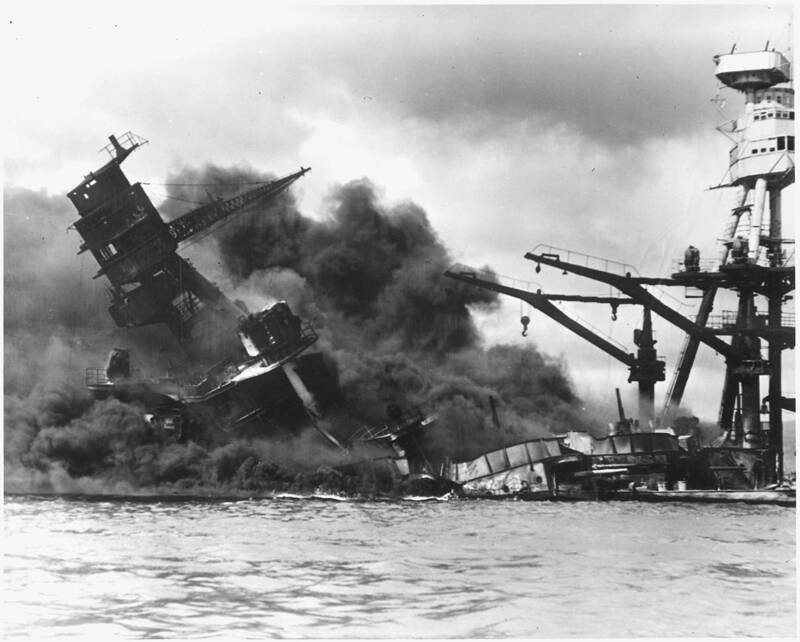 PEARL HARBOR – INTO THE ARIZONA, on Wednesday, November 23, 2016, 9:00-10:00 p.m. ET, turns its focus to the USS Arizona. Using the latest in underwater technology, the film gains access to the ship’s lower decks for the first time since the unanticipated attack and brings to life what happened aboard the Arizona on that fateful day. PEARL HARBOR – INTO THE ARIZONA features interviews with historians and survivors, including retired Navy Seaman Donald Stratton, a USS Arizona survivor, only 19 years old when he received orders to serve aboard the doomed battleship. Now, Stratton views the sunken ship’s interior, a site he never thought he’d see again, for the first time in 75 years. The wreckage holds a veritable time capsule of the Arizona’s last moments and a record of a day that will live in infamy. Produced by Story House Productions, the film is directed by Carsten Oblaender. On PBS stations in September 2017, Ken Burns and Lynn Novick present THE VIETNAM WAR, a new 10-part, 18-hour documentary film series. The immersive 360-degree narrative tells the epic story of the Vietnam War as it has never before been told on film, with testimony from nearly 100 witnesses. PBS Education helps teachers bring stories from the battlefield into the classroom by offering a wide range of instructional resources on PBS LearningMedia. This includes firsthand accounts from veterans, re-enactment footage, photographs and lesson plans that enable students to form deeper, more meaningful connections to the core curriculum discussed in class. Starting next month, teachers can access new content from PBS’ fall lineup, including PEARL HARBOR – USS OKLAHOMA – THE FINAL STORY and PEARL HARBOR – INTO THE ARIZONA, which commemorate the 75th anniversary of the attack in 1941. These resources will complement existing materials from recent PBS programs, such as D-DAY 360, IWO JIMA: FROM COMBAT TO COMRADES, LAST DAYS IN VIETNAM, ON TWO FRONTS: LATINOS & VIETNAM, and THE HOMEFRONT. Content is free for all teachers and can be found in the “Soldiers, Veterans & War in American Life” collection. Additionally, PBS member station WYES-TV/New Orleans will mark the anniversary on December 7 by hosting a virtual field trip to the National World War II Museum. During this special event, students will explore museum artifacts related to the attack and hear witnesses recall the raid they experienced as children. To learn more, visit pearl75.org/electronic-field-trip. More than two dozen films and digital series also are streaming online with PBS Stories of Service, a multiplatform initiative exploring veterans’ experiences and providing deeper understanding of our country’s military history. Titles include films like THE HOME FRONT, DEBT OF HONOR, D-DAY 360, ROAD TRIP NATION: THE NEXT MISSION (available November 1, 2016) and web series like VETERANS COMING HOME. Audiences can watch anytime, anywhere on PBS.org and across all platforms and devices that support PBS video streaming apps, including Apple TV, Android TV, Amazon Fire and Chromecast, as well as Android, iOS, and Windows 10 mobile devices.